There are plenty of tools that to convert an MP3 file into WAV format. I recommend mpg321 which is a free command-line mp3 player, which uses the mad audio decoding library. I recommend using mpg123 as it is updated frequently. mp3towav "this is a test.mp3"
@Metalx1000, nice, I’ve deleted your old post and kept only correct one. Is there any tool/command in Fedora to convert mp4 files to avi ? Or above command will also work for mp4 file. is there a tool tool to convert .wmv/wma to mp3/mp4 or any other format which totem can easily play? That will convert the wmv to mp4 with default settings, which may not be the best quality. Thank’s. Use your article to convert mp3 to wav. Don’t put ‘exit’ in a bash function! I ran ‘mp3towav’ with no options, and my terminal window vanished. 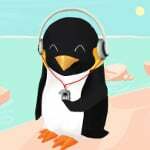 How do I convert a WAV file to MP3 format under Linux using a shell prompt?